Holistic development drives the programs undertaken at Aravali College of Engineering and Management. 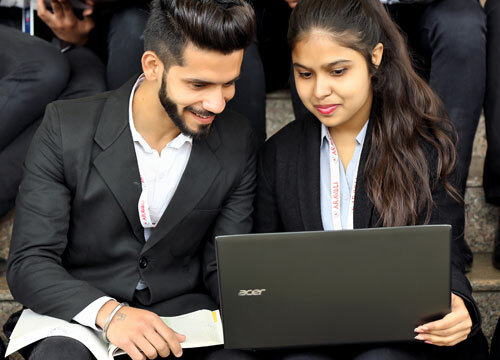 One such event, a Faculty Develeopment Program was conducted on 23rd February 2019 at Aravali College of Engineering and Management in association with Digital School of Delhi. The program titled Current and Emerging Tools in Research for Academician was well conceived and delivered keeping in mind the importance of research for the academicians. The event was attended by 30 faculty members and was convened by Ms. Smriti Khanna Head of Department Management Studies at Aravali College. The Guest Speakers and the subject expert for the day was Mr. Rajendra Rawat from Digital School of Delhi. An excellent trainer who delivered an engaging session with focus on introduction of the of research tools. He also trained the participants on utility of free Google operators for research purpose. The usage of various social platform for research purpose was also highlighted. The event saw active participation by the audience and a very interesting and thought provoking usage of social media.The ideas shared would be extremely useful for faculty in their academic research projects. The participants were exposed to usage of Google forms, Google alerts, sites.google.com, and various other tools.